Mr Micklewright holds a BSc. (Hons) Diploma. He also has a PGCE. He holds a Level 1 Cricket Coaching and Level 1 Football Coaching Certificate. 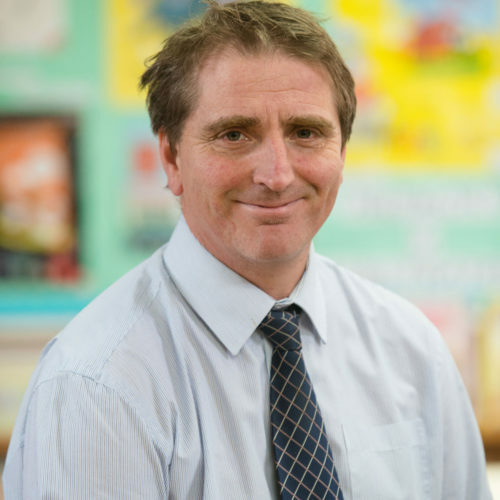 He has 26 years’ teaching experience and had worked as an Assistant Head for 12 years in his previous role. His current role at St Winefride’s is a Teacher of ICT, and he also provides one-to-one support for English and Maths and delivers extra lessons for 11+ entrance examinations to Year 5 pupils or below. Loose Change for Lent Challenge! St. Winefride’s are Premier League Primary Stars! © 2017 - St Winefride's School Shrewsbury.